Time to upgrade this family favorite! Another great way to give your macaroni salad a boost in flavor is to sauté some mushrooms in butter. Let the flavor carry through the dressing for a burst of umami that’s juicy, too. Chicken is the most common meat ingredient in a macaroni salad, but why not go the seafood route by using chopped crab sticks instead. Walnuts add crunch and a little bitterness that will emphasize the sweet, tangy mayonnaise dressing they’re tossed with. Better yet, caramelize them in sugar for a combo of sweet and crunchy. Whether you choose red, green, or yellow, diced bell peppers will add a natural crunch with a slight bite and a touch of sweetness to your salad. Plus, it will add a pop of color. When you fry onions until crunchy and browned, they produce a flavor that’s unlike the fresh version. Sprinkle this on top of the salad right before serving to maximize the crunch. Elevate the flavor profile of your macaroni salad with a tablespoon of molasses. Not only will your dish have its usual sweetness; it will also have the slight tanginess that only molasses has. 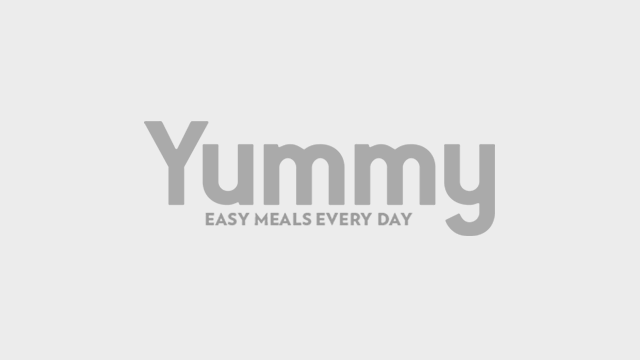 It’s a wonderful complement to the mayonnaise dressing, which is the base of any macaroni salad. 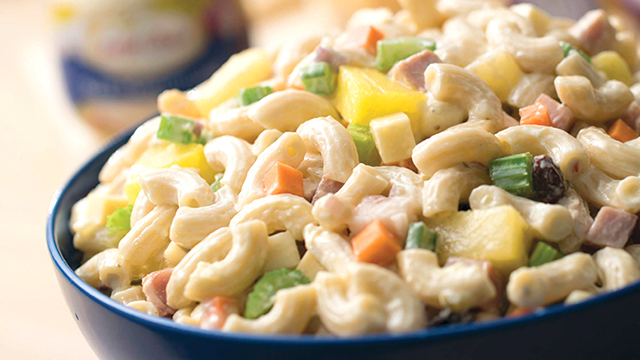 Inject a fruity sweetness into your macaroni salad by mixing a little bit of pineapple juice in the mayonnaise dressing. Pour it in little by little, while tasting in between, so you can control the amount of sweetness. You put it on almost everything so why not add some to your macaroni salad? The wonderful thing with sriracha is that it’s not just about the heat; it’s also a tasty condiment with underlying flavors that go beyond the hot pepper. It’s more commonly available now than ever. Grab a few from the fresh produce market or use the pickled version to add a tangy bite with some heat that will go wonderfully with the taste of mayonnaise. Don’t underestimate the power of the common black peppercorn. It’s got a bite and a heat that’s delicious and flavorful, especially when freshly ground. You don't need to add all of these ingredients when making your mom's macaroni salad this holiday season. One or two can be enough to make this family-favorite dish even better. Whether you choose to stick to the original recipe or give it a little bit of a twist, there is one ingredient you shouldn't go without: Lady’s Choice Real Mayonnaise. Made from choice ingredients, including real eggs, a unique blend of spices and oils, it will give your family's favorite macaroni salad that special creaminess you can only get from Lady's Choice.